Professional photo lab Apollo Photo Imagizing debuts a new website designed to put pros in control of their photo orders. The new site details the lab's full collection of press-printed and photographic items, all of which were developed to complement standard prints and assist professional photographers in expanding their product offerings and marketing their studios. Press-printed photo cards are now available in several new designs. Flat, folded and accordion styles are printed on linen, pearl, lustre or watercolor-texture paper. Apollo Photo Imagizing is pleased to announce a higher level of customer accessibility with the launch of the full-service photo lab's new website. The site provides enhanced product selection and expanded options for professional photographers. "Our redesigned website makes navigation easier and information more accessible," said Steven G. McCullough, Apollo's vice president of professional lab sales. "We've added order tracking and invoice history to help photographers keep up-to-date on all their orders." The new site is located at http://www.apollo-imagizing.com and represents a significant improvement in terms of usability and the amount of information viewable online. Clients can access in-depth product descriptions, samples, designs and templates for the complete collection of photographic and press-printed products, as well as details about the professional lab services that are the cornerstone of Apollo. "We've timed the pre-holiday release so photographers can enjoy the convenience of the site's new features during this high-volume season," said Eric R. Hegwood, president of SyNet Media. 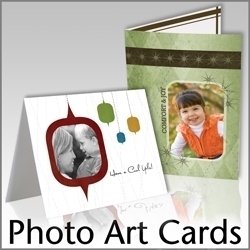 "We also want to encourage pros to try some of the new holiday designs for photographic cards and press-printed cards." Apollo provides photographic prints, press-printed products and specialty photo items to professional photographers as a division of SyNet Media. Apollo Photo Imagizing is a one-stop professional lab offering retouching, finishing and mounting along with professional imaging products designed to help photographers generate sales. Apollo's signature collections are the Illuma ProPress line of press-printed products that includes photo guest books, memory books and day planners and ProPhotoCreations specialty photographic items, such as murals, signature boards, dry-erase boards and gallery wraps.